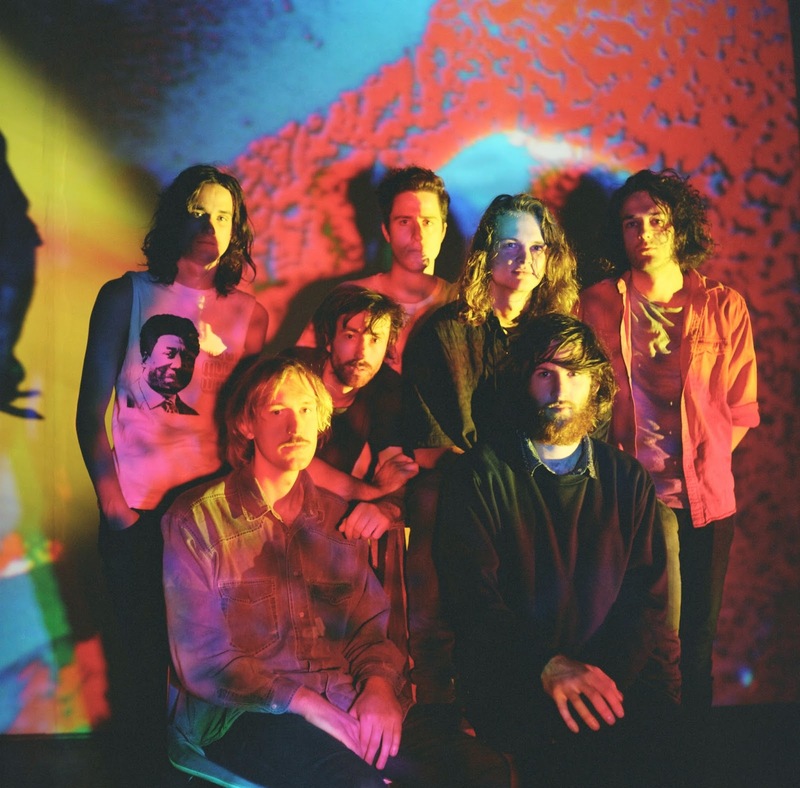 MELBOURNE'S day-tripping psych offering, King Gizzard & The Lizard Wizard don't shy away from the obscurity of their title - forcing an esoteric set of vocal arrangements and forever rolling guitars into the mouths of today's wide-eyed youth. Set to finish their Australian tour next week, the band have released a fresh set of autumnal dates with October seeing their stint in the US with Californian based White Fence, even supporting Mac DeMarco at New York's Terminal 5. As for their European fans - we look towards November as they take on another eleven dates on the road. At these shows the septet will unveil a kaleidoscopic new offering... Their debut album on Heavenly Recordings 'I'm In Your Mind Fuzz' is set to be the record of a generation, with no sense of direction the tracks become an entity much greater than the LSD infected deities. Flaunted in the taster track 'Cellophane', we are given just a tiny indication as to the sheer hysteria created by these magicians. Digging out an old pair of 3D glasses, left eye red and right eye blue we see these monarchists in a different dimension - quite literally, with flying long haired lords in red robes, the devilishly provocative Cellophane rips society to shreds. The leading single is enchanting as much as it is enslaving. Maintaining their garage feel, we see a progression into a more severe branch of curdling distortion unafraid to make no apparent sense yet deeply sensitive to the meaning behind. Farcical in wit, the injection of riveting chaos sprints down the veins of any who dare taste the delectable drug that is Cellophane. 2014 has been the year of jovial drudgery for King Gizzard & The Lizard Wizard, releasing 12-track album Oddments earlier on only to turnover yet another release this Winter with I'm In Your Mind Fuzz, this, with extensive touring allows the dedication to seep through their voguish facade. Bring on their Liverpool date, The Music Manual will provide the 3D goggles.